The lace topper pictured was custom created for this gown and is also available for a separate sale of $300. 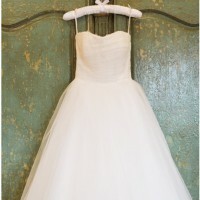 It was worn for the ceremony and then removed to reveal the strapless lace neckline for the reception. The dress was professionally cleaned immediately following the wedding and is stored in an acid-free lined preservation box. Dress was taken in slightly in the hips and bust. 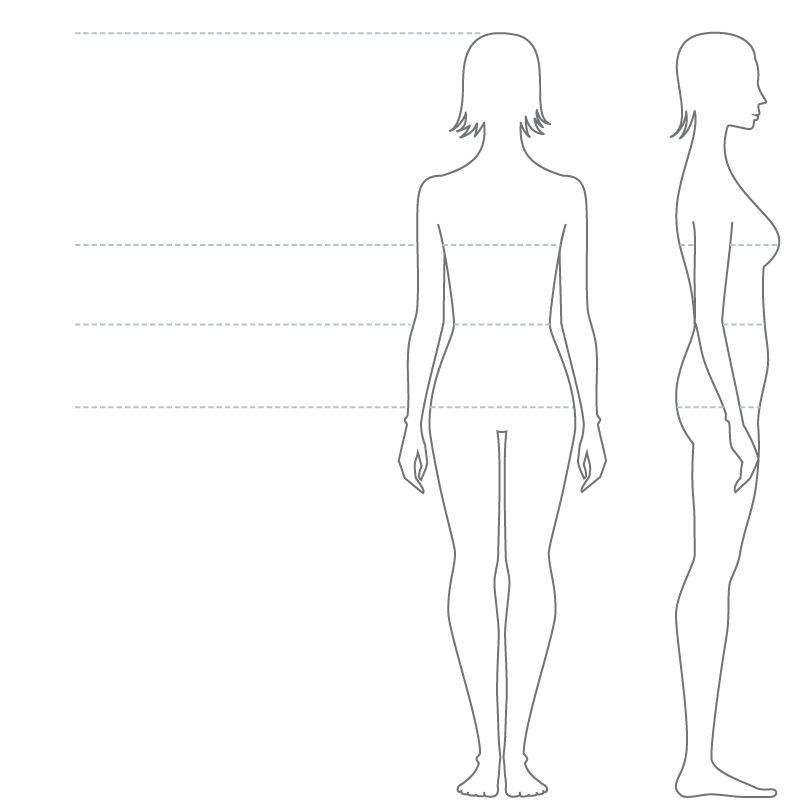 Those measurements are reflected in the sizing provided.